Running every document through OpenCalais, a metadata technology from Thomson Reuters that aggregates other contextual information to the uploaded files. It can take the dates from a document and graph them in a timeline or help you find other documents related to your story. Annotating and highlighting important sections of your documents. Each note that you add will have its own unique URL so that you can have all in order. Uploading files in a safe and private manner, but you have also the option to share those documents, make them public, and embed them. The sources and evidence of an investigation don’t have to stay in the computer of a journalist or the archives of a media organization – they can go public and become open. Review of the documents that other people have uploaded such as files, hearing transcripts, testimony, legislation, reports, declassified documents and correspondence. Below are some examples of how you can produce different types of content when you mix uploaded information, creativity and the functions of this tool. The platform VozData, from the Argentinian newspaper La Nación, combines their own code with the technology of DocumentCloud to set up an openly collaborative platform that transforms Senate expense receipts into open and useful information by crowdsourcing it. Due to the fact that their investigation about violence in a prison got published in The New York Times, The Marshall Project did a follow-up about how the prison officers censored the names of some guards and interns, and also aerial photos of the prison when the newspaper was distributed to prisoners. The I*nternational Consortium of Investigative Journalists *(ICIJ) uses DocumentCloud so that readers can access the original documents of the Luxembourg Leak, secret agreements that reduced taxes to 350 companies across the world and approved by the Luxembourg authorities. The* Washington Post *used the software to explain the set of instructions that the US National Security Agencys gives to their analysts, so that whenever they fill a form to access databases and justify their research, they don’t reveal too much suspicious or illegal information. So, next time, when you have to do tons of research using original documents, you can make it publicly available through DocumentCloud. And, even if you’re not a journalist, you can still use this tool to browse their extensive catalogue of documents uploaded by journalists across the world. Most people are using smartphones for SMS messaging and have access to mobile data connection. According to Wikipedia, The Philippines is currently 12th across the world with the most number of cellphones, with more than 100 million cellphones which is more than our population! In the absence of laptops and desktop computers, smartphones are cheaper and easier to use. 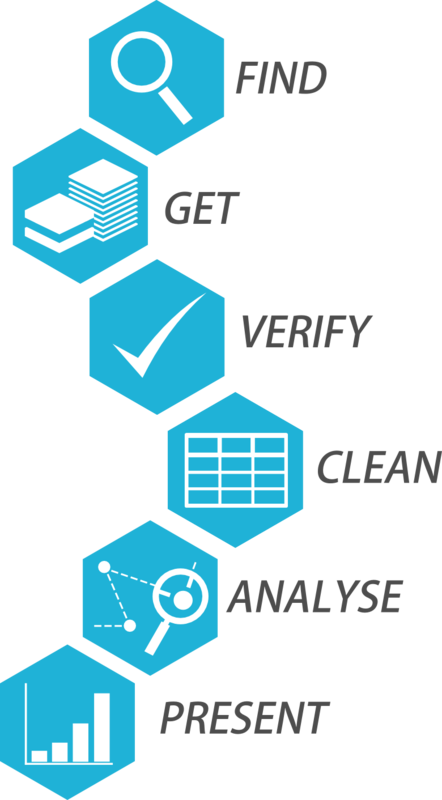 Mobile-based data collection compared with the use of paper forms, lessens the risk of losing the data when paper forms are damaged or lost. This will be a basic course using Kobo Toolbox as one of the many platforms in which ODK forms are built, collected and aggregated for better data collection and management. According to Kobo Toolbox, acknowledging that many agencies are already using ODK, a de facto open source standard for mobile data collection, KoBo Toolbox is fully compatible and interchangeable with ODK but delivers more functionality such as an easy-to-use formbuilder, question libraries and integrated data management. It also integrates other open-source ODK-based developments such as formhub and Enketo. Kobo Toolbox can be used online and offline. You can share the data and monitor submissions together with other users and it offers UNLIMITED use for humanitarian actors. This article is part tutorial, part demonstration of the process I go through to complete a data expedition alone, or as a participant during a School of Data event. 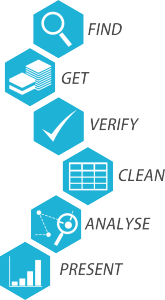 Each of the following steps will be detailed: Find, Get, Verify, Clean, Explore, Analyze, Visualize, Publish Depending on your data, your source or your tools, the order in which you will be going through these steps might be different. But the process is globally the same. I copy everything, then go to Edit→Paste Special→Paste values only. 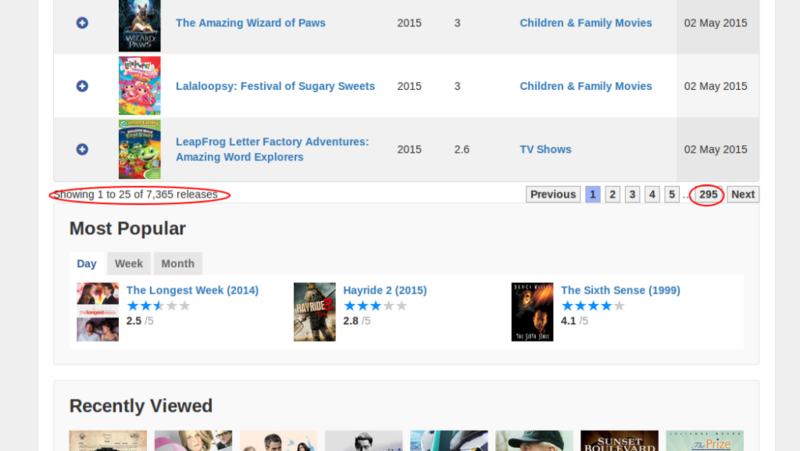 This way, the table is not linked to importHTML anymore, and I can edit it at will. So, will this data really answer my question completely? I do have the basic data (name, founding data, closure date), but is it comprehensive? A double check with the French wikipedia page about video game magazines reveals that many French magazines are missing from the English list. Most of the magazines represented are from the US and the UK, and probably only the most famous. I will have to take this into account going forward. 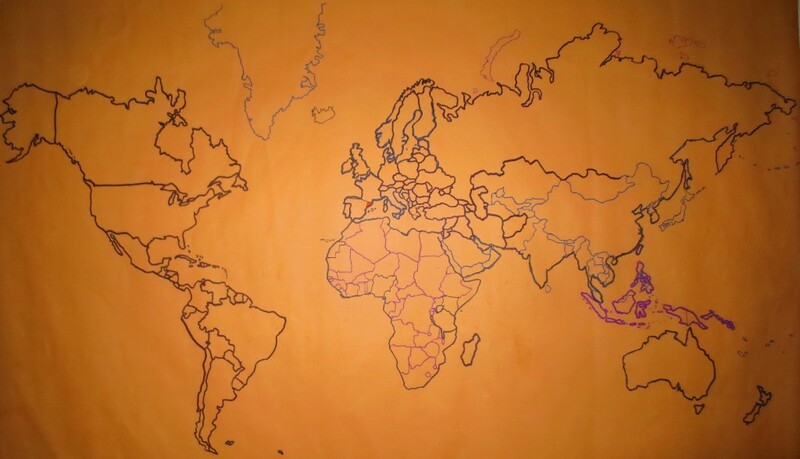 delete all the lines corresponding to non-UK or US countries. For the purpose of this tutorial, I will focus on the second one, looking at the number of magazines created per year Another tutorial will be dedicated to the first, because it requires a more complex approach due to the formatting of our data. At this point, I have a lot of other ideas: Can I determine which year produced the most enduring magazines (surprising interactions)? Will there be anything to see if I bring in video game website data for comparison (revealing comparisons)? Which magazines have lasted the longest (interesting factoid)? This is outside of the scope of this tutorial, but those are definitely questions worth exploring. It’s still important to stay focused, but writing them down for later analysis is a good idea. Analysing is about applying statistical techniques to the data and question the (usually visual) results. 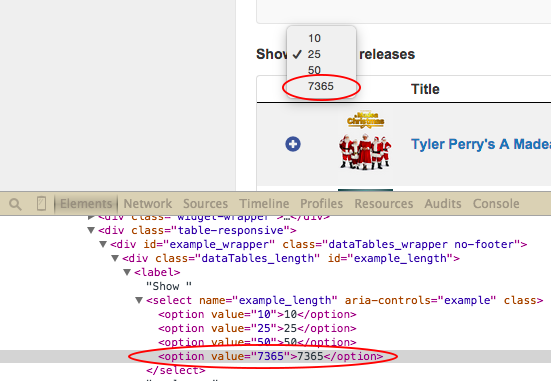 The quickest way to answer our question “How many magazines have been created each year?” is by using a pivot table. In the pivot table sheet, I select the field “Founded” as the column. The founding years are ordered and grouped, allowing us to count the number of magazines for each year starting from the earliest. 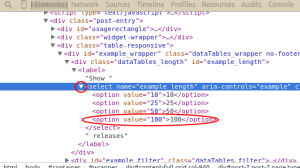 I then select the field “Name” as the values. Because the pivot tables expects numbers by default (it tries to apply a SUM operation), nothing shows. To count the number of names associated with each year, the correct operation is COUNTA. 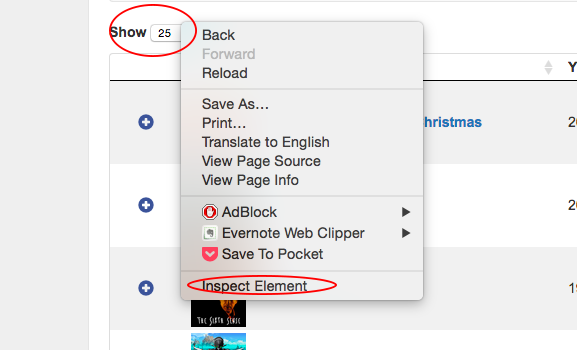 I click on SUM and select COUNT A from the drop down menu. This data can then be visualized with a bar graph. The trendline seems to show a decline in the dynamic of the market, but it’s not clear enough. 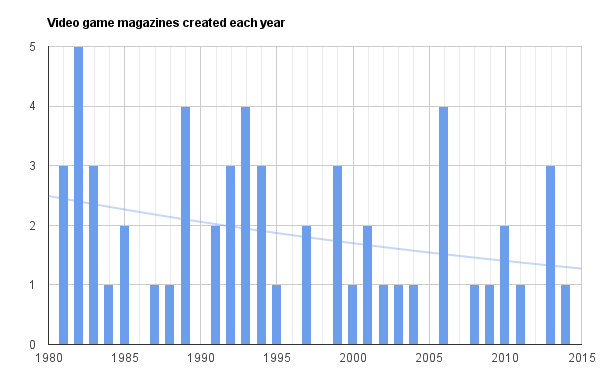 Let’s group the years by half-decade and see what happens: The resulting bar chart is much clearer: The number of magazines created every half-decade decreases a lot in the lead up to the 2000s. 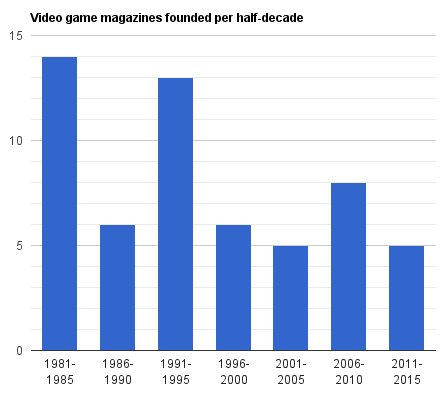 The slump of the 1986-1990 years is perhaps due to a lagging effect of the North american video game crash of 1982-1984 Unlike what we could have assumed, the market is still dynamic, with one magazine founded every year for the last 5 years. That makes for an interesting, nuanced story. In this tutorial the initial graphs created during the analysis are enough to tell my story. But if the results of my investigations required a more complex, unusual or interactive visualisation to be clear for my public, or if I wanted to tell the whole story, context included, with one big infographic, it would fall into the “visualise” phase. This week Siyabonga Africa, one of our fellows in South Africa, led an amazing introduction to how to think about your users when designing a project to make sure they get the most out of it. In case you missed it – you can watch the entire skillshare online and get Siya’s slides. For more in the skillshare series – keep your eye on the Open Knowledge Google Plus page and follow @SchoolofData. For more from Siyabonga – poke @siyafrica on Twitter. Image Credits: Glen Scarborough (CC-BY-SA) . Finding ways to learn new ways to play and work with data is always a challenge. Workshops, courses, and sprints are always a really great way to learn from people, and at the School of Data Fellow are doing that all over the world. In India there are lots of languages, different levels of literacy and technology adaption so we want experiment with different ways of sharing data skills. It can be difficult put on a workshop or do a course, so we thought let’s start creating videos that can be accessed by people . It was important that the videos be easy to replicate and bite size, and that the format was flexible enough to accommodate different ways of teaching. So we and others can experiment with different types of videos. Break up the lesson by technique and make each video no more than 2 to 5 minutes. Make sure they are a playlist. You probably have a skill or knowledge that others would love to acquire… but teaching can be intimidating. Fear not! In this post, we will share a few tips from the School of Data network, which is filled with individuals who hold continuous trainings on all things data worldwide. It’s not a great idea to improvise when you are frozen by stage fright, nor to realize in the middle of a workshop that you can’t continue as planned because you are missing materials. That’s why formal planning of each workshop can help. Here’s an example you could use. Also, maybe it’s a good idea to partner up. Cédric from School of Data in France makes a great point: “There are two essential things in a workshop: knowledge of methodology and knowledge of the subject. More often than not, it’s better to separate them between two people. 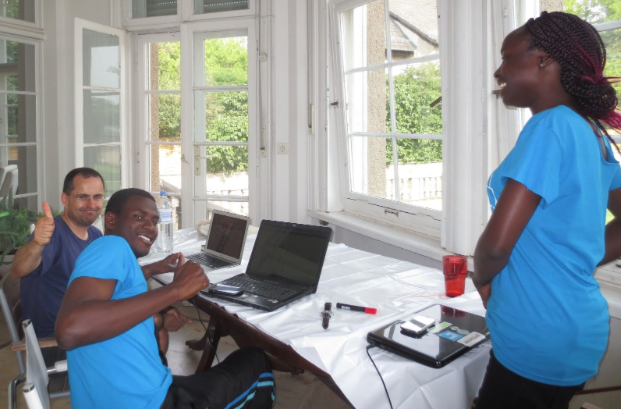 One will make sure that the workshop goes smoothly, and the other will help individuals get past roadblocks”. Beyond what you say, the way you speak can have an impact on the success of your workshop. Michael (again) and Heather from School of Data in Toronto recommend that you try to speak a bit slower than you’re used to, with simple sentences, and avoiding jargon or descriptive metaphors. Helping people feel comfortable and welcome is necessary in every educational setting. Happy from School of Data in the Philippines explains it: “The point is to keep it as trivial as possible so that people don’t feel intimidated by the skill level of others”. Codrina from School of Data in Romania has a lot of experience here: she recommends not keeping it too serious, and rather make small jokes; also, “give a little pat on the back for those who ask questions”… And don’t forget to take breaks! Yuandra from School of Data in Indonesia reminds us of something crucial: refreshments and water. People won’t learn if they’re distracted by hunger. Also, icebreakers. We all love icebreakers, and Olu from School of Data in Nigeria has these in mind. We use this phrase a lot, but what does it mean? Ketty from School of Data in Uganda puts it in very practical terms: try to read the learner’s facial expressions for e.g. confusion/tiredness/intent. This will help you find the best ways to continue. Also, Ketty adds, “sometimes you have to be flexible and allow the learners to change your program… A bit of a give & take approach”. On a slightly different topic, but still related to your connection with the audience, Olu thinks your audience will be inspired to work harder in your workshop if you tell them stories of what data/open data can be used for. You can find some at the World Bank Open Data Blog, and here on School of Data. Heather recommends that you repeat key things 3 times (but not right after each other – spread them throughout the workshop). Also, Codrina recommends repeating questions when they are asked so everyone can hear before the answer is given. Another recommendation: If you have a really successful workshop, try to replicate it through other media. For example, run it on a hangout, write it out on a tutorial. Multiple content won’t be redundant – it will mean more and more people will have a chance to learn from it. Happy has a great tip: “When you want to get the group to mingle and pair up (data analysts paired with visualizers, for example) one way to do it is to divide the group, 1 line for data analysts, another for visualizers. Then we ask them to line up according to a range of categories – from technical categories or something as simple as personal information, like the number of house they lived in during their childhood, for example”. Make an effort to keep track of time and exactly how long you spend on each part, Cédric recommends, as this will help you plan for future trainings. Your audience may well be outside the room where you are doing the training. Cédric adds: “Sometimes good suggestions can come from social media platforms like Twitter, so if you have an audience there, you might want to share some updates during the event. People might answer with ideas, technical advice or more”. The workshop was fun and people attended. But did they really learn? Try to evaluate this learning through different methods. Was everyone able to complete the exercises? What did they respond that they learned in your ‘exit survey’? Did you get good responses to your last round of oral questions? Olu kindly shared a couple of forms that can be used for this purpose both before and after the training. Feel free to use them!